The account of the future. 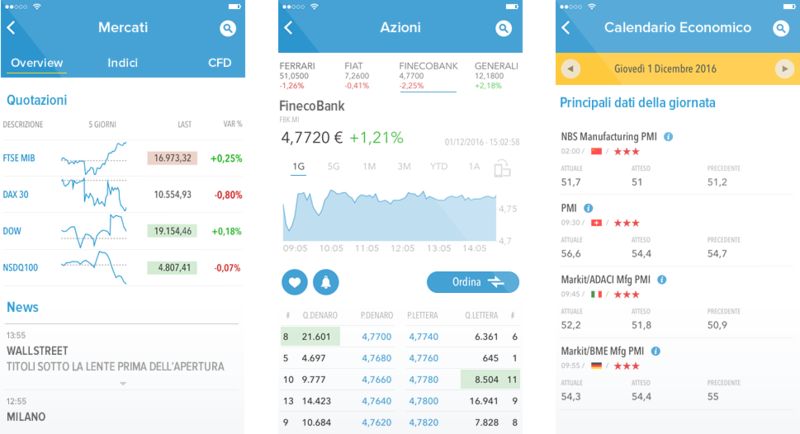 We has had only one goal since 1999: innovate the bank to make life easier for you. We have always invested in technology, but we trust in the unique value of human relationships. This is why we manage to offer you a unique, extraordinary and personalized banking experience, every day. Free withdrawals on the BANCOMAT® circuit if higher than €99. Cardless withdrawals at the UniCredit ATMs. All you need is your smartphone. 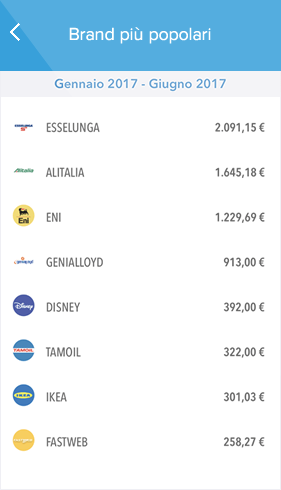 Free withdrawals up to €3,000€ from all UniCredit ATMs in Italy. 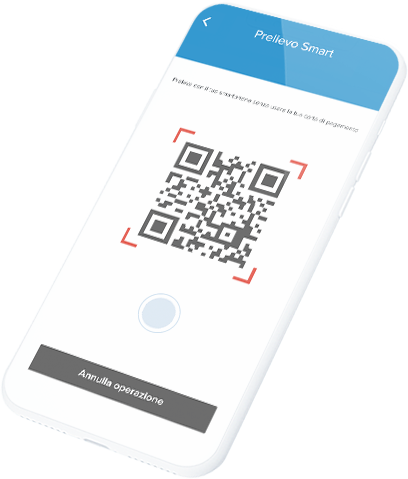 The free contactless card for withdrawing and paying in Italy and abroad. You deposit Cash and Cheques unassisted, at all evolved UniCredit ATMs. Increase your Visa Debit maximum limit up to €5,000 for one day. 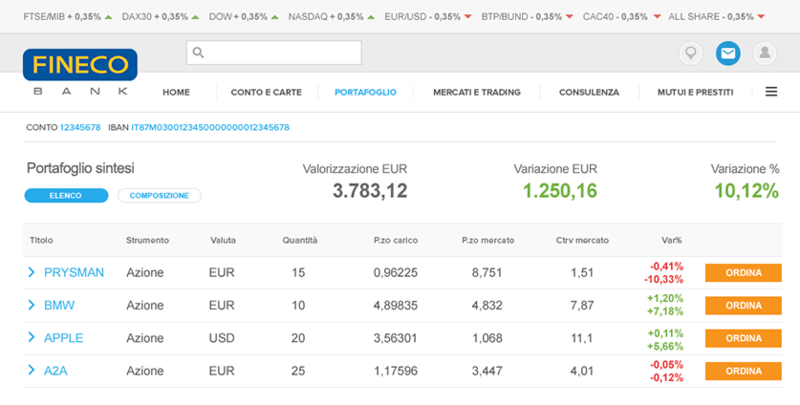 Diversify your liquidity and invest in USD, CHF, GBP, JPY, CAD, TRY. 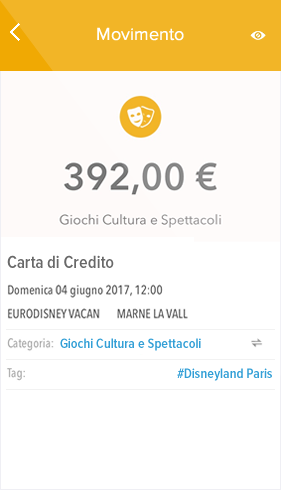 In Italy free and unlimited. Abroad to 250 countries and in 20 different currencies. MAV, RAV, road tax, utilities, bills, taxes and duties: you can do everything online. Request up to €50,000 directly online, on your own. 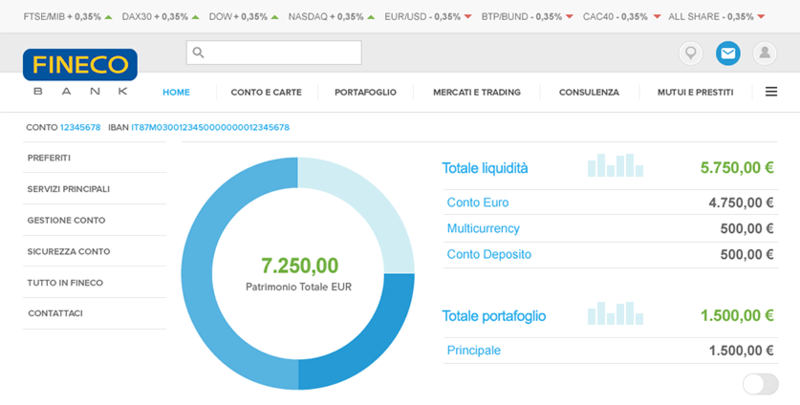 Request from €3,000 to €1,000,000 of added liquidity on your account. Purchase, Subrogation, Liquidity and Refinancing. At fixed or floating rate. You can request it online and receive it at home. Or transfer yours in 48h. Reload your mobile phone at zero fees, automatically. Make purchases with your Android device quickly and securely. Pay in-store, in-app or online using your Apple device. Order cheque books and process bank drafts at home. Designed for who really uses it every day. 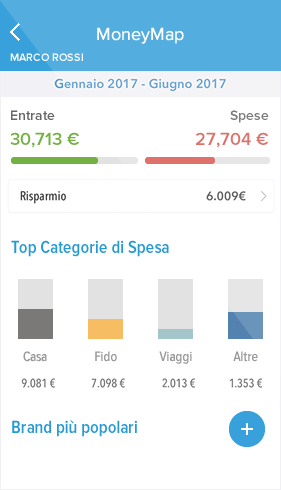 This is why Fineco is not only simple to use, but also nice to look at. We aren't the usual online bank, and neither are we the classic traditional bank. We are a big team made up of people that has had only one goal since 1999: innovate the bank to make life easier for you. Open your account in just a few steps. Ask a Personal Financial Advisor. You can do everything online or from apps, but you can also have a Personal Financial Advisor at home or at the Fineco Center. And our Customer Care responds also on Sundays and via automated SMSs. 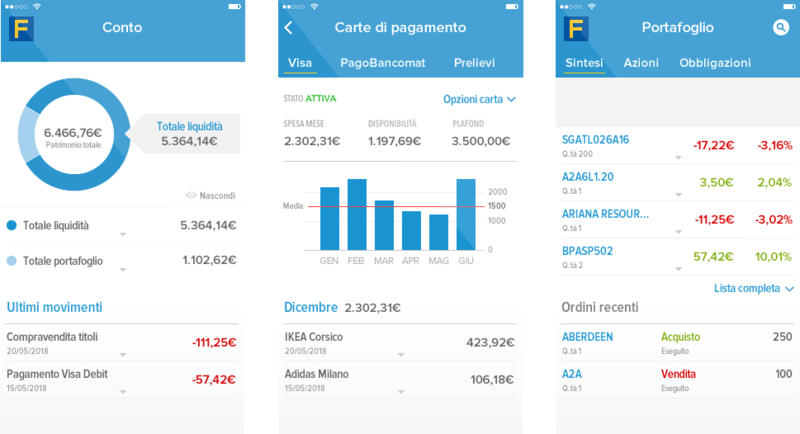 Withdrawals even cardless at enabled UniCredit ATMs: all you need is the Fineco app. Withdraw up to €3,000 with MaxiWithdrawal. You can deposit cash and cheques in the evolved UniCredit ATMs cost-free. Fineco Card Debit is the free card for making withdrawals and purchases around the world, online or in stores, without fees. Personalise your maximum limits: up to €5,000 in a single transaction. You can also use it contactless and with Apple Pay and Google Pay. Manage your account and investments anywhere. Set card limits by geographical areas or on specific websites online, change the maximum limit in real time and receive instant notifications on withdrawals and purchases. 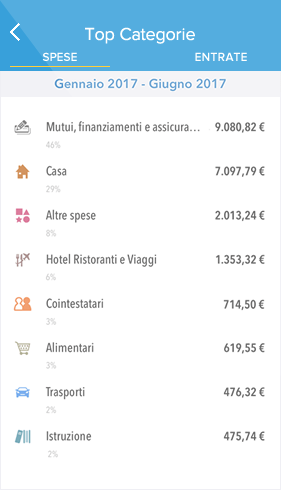 Pay your bills also from the app, with a photo. MAV, RAV, F24, road tax: pay and store online. Domicile utilities in just a few clicks. Reload your mobile phone online or with an SMS. Access with a fingerprint or FaceID and you can keep tabs on your account, cards and investments. Choose your VISA or Mastercard credit card. Also multifunction, with Credit, PagoBancomat and Bancomat® all together. Pay expenses in instalments as well with the Revolving, PagoFacile and Pay by Instalments options that you can enable online. 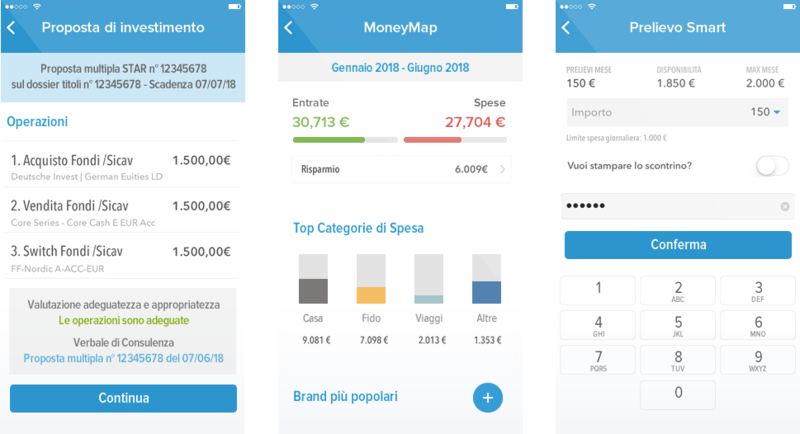 MoneyMap classifies, also automatically, inflows and outflows and helps you save with a personalised budget. 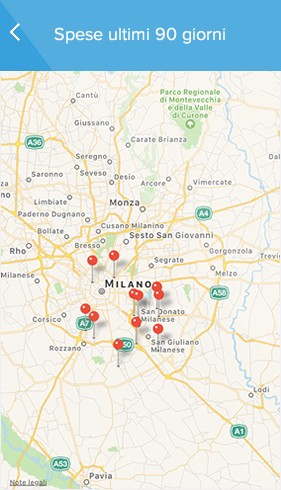 View your expenses on Google Maps and you see the most widely used brands at a quick glance. 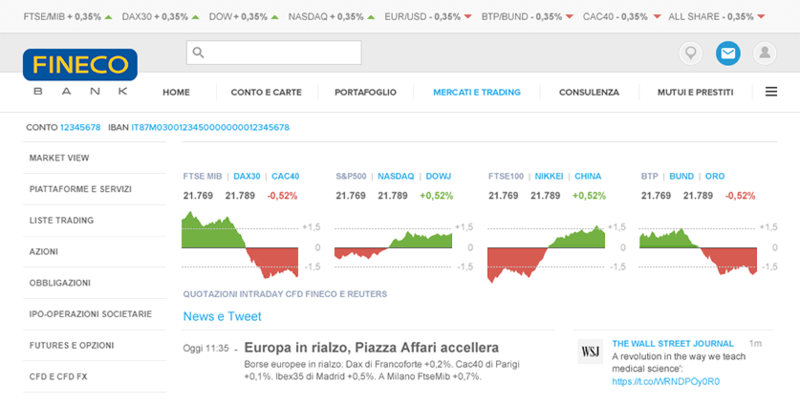 Fineco is one of the most solid banks in Italy with a 21.16% CET1. We combine the best digital technologies with dozens of manual controls to guarantee you the highest security standards. Instant transfer the service provides for a fee equal to 0.20% of the amount transferred (min 0.85 € - max 2.95 €) The limit of daily amount accumulated for each customer of instantaneous outgoing transfers is equal to 5,000 €. 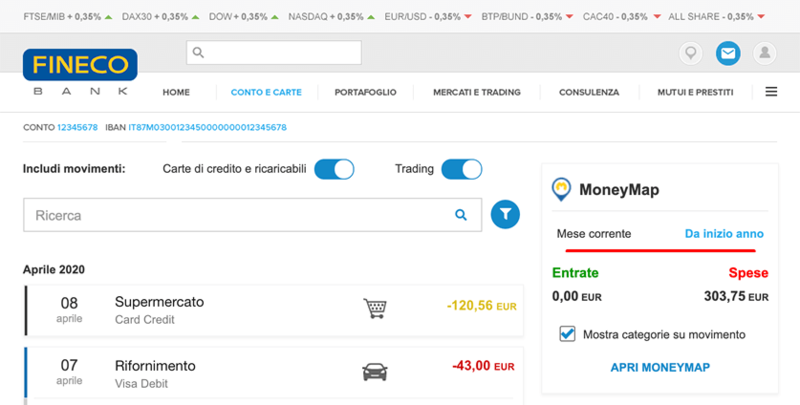 It is possible to have the service only to participating banks (consult the https://www.ebaclearing.eu/services/instant-payments/participants/ list). 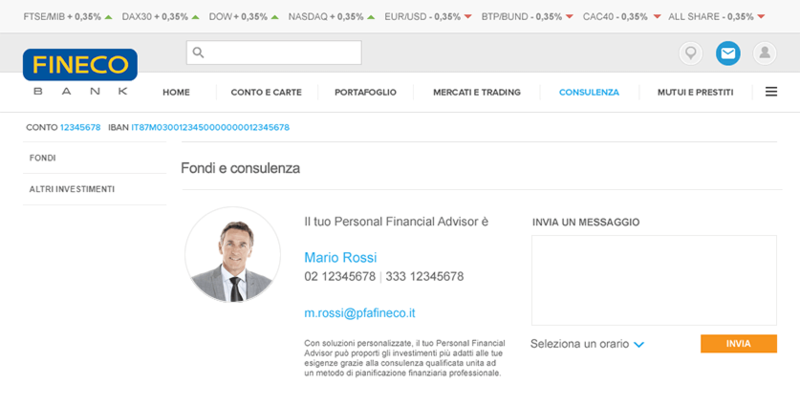 MoneyMap is an additional service for Fineco current accounts. To view all the terms and conditions for the advertised services, please refer to the information sheets, the Rules governing the MoneyMap service and the documentation required under current regulations. All services require the client to open a Fineco current account.